Pure Digital has expanded its EcoPlus range of environmentally friendly radios in time for the traditional Christmas rush. 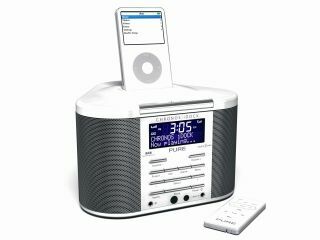 Building on the success of previous models in the EcoPlus range, Pure has boosted the line-up to include 13 individual DAB radios, a microsystem and a DAB radio with integrated iPod dock. All models in the EcoPlus range have low power consumption, both when the units are active and on standby. Pure has taken the liberty of measuring the performance of its EcoPlus products against its leading competitors' models. According to the measurements they obtained, Pure EcoPlus models predictably won out, using up to three times less power than the competition. But to what extent does power consumption figure in the minds of consumers when they're shopping around? According to David Harold from Pure Digital, power consumption is now a major factor informing consumer choice. "Everything nowadays is about reducing power. The mood of consumers has changed, and power consumption has really come to the fore as an issue." In addition to lower power consumption figures, products from the EcoPlus range are boxed in 70 per cent recycled cardboard packaging. Pure says it has kept its packaging size to a minimum, rather than the attention-grabbing, shelf-filling oversized variety.